Buying an investment property in the United States can be an excellent way to grow your wealth. Interest rates, while higher than they were a few short years ago, still remain near historic lows. And, over time, property values in the United States do tend to rise rather than to fall, which means that property owners generally benefit from the appreciation of the property – especially if they can hold onto it long enough to weather any market downturns. Investors seeking to invest in real estate in the United States can take different approaches to do so. Buying a rental or income property allows for a purchasers to both earn money on an ongoing basis from rental income while also benefitting from increases in property values as the worth of the rental property rises over time. While being a landlord with tenants can have big drawbacks, including having to deal with potentially problematic renters, owning a rental property can provide a regular source of income with minimal effort on the part of the property owner. Buying rental, or income, property permits buyers to earn money while benefiting from rising property values. With our low rates, investors will be able to save on their mortgage needs while focusing to drive equity in their projects. Buyers can also purchase investment properties they do not intend to rent out because they believe that property values will rise substantially over time. In these circumstances, the property owner simply holds onto the property with the hope that it appreciates in value quickly enough to cover all ongoing costs including for repairs, maintenance, and taxes. For investors looking to simply hold real estate, rather than renting it out, investing in raw land could be an option that helps to keep maintenance costs down while providing the chance to make substantial money when property values rise. No matter what type of investment property a buyer intends to purchase, however, it becomes important to secure the right type of mortgage loan. With affordable financing, it is much easier for an investor to make a profit on the transaction. If an investor gets an expensive mortgage loan, on the other hand, interest rates and other costs could eat into any potential profits and make it more difficult for a real estate investment to generate sufficient income to make the investment worthwhile. The problem for some investors is that qualifying for a loan for an investment property can be difficult, especially in a tight credit market. If you are not able to qualify for financing, you would be unable to take advantage of the opportunities that owning investment property can provide to you. The good news is NonQMHomeLoans.com is here and ready to help borrowers looking for loans for an investment property, including an income property or rental property. Our mortgage professionals want to make real estate ownership happen for you, and we will guide you through the entirety of the process of trying to get approved for investment real estate loans at a reasonable rate with favorable terms. To find out more about how a mortgage for investment properties obtained through A&D could help make it possible for you to purchase and own a rental property, give us a call today. If you want to secure a mortgage for investment property, you need to be aware that the process of qualifying for a loan can work differently than the process of getting a loan in order to buy a home or another type of residential property to live in. Mortgage insurance generally is not available for investment properties, as it is for residential properties that serve as primary homes. This restriction means that many conventional mortgage lenders often have much higher down payment requirements in place for income properties, rental properties, or other investment properties. Mortgage insurance obtained on conventional loans is paid for by borrowers but protects a lender by paying for any losses that the lender experiences if the homeowner defaults on a loan and the lender must foreclose on the property. When this type of insurance mitigates risk for a lender, it is possible for the lender to be more lenient in who can qualify for a loan. Since mortgage insurance is not an option for investment properties, lenders protect themselves by requiring bigger down payments or imposing other stricter qualifying criteria on would-be borrowers. 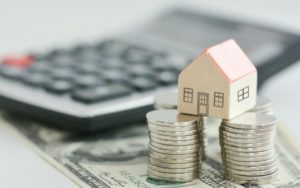 This means many lenders are strict about loan-to-value ratio and restrict would-be borrowers from borrowing more than around 25 percent of the value of the property. Traditional mortgage lenders may also restrict eligibility for investment property mortgage loans only to the most qualified buyers with excellent credit scores. Those who are looking to buy an investment property who have a low score may find that their loan is denied altogether or that the lender imposes an even higher down payment requirement. Interest rates will also be higher for borrowers who don’t have as good of credit or who are otherwise considered to be higher risk borrowers. To make sure that they protect themselves from loss, many conventional mortgage lenders not only impose substantial qualifying requirements related to down payments and credit scores for investment property mortgages, but they also demand ample documentation of the financial fitness of would-be borrowers. This could mean those who wish to obtain a loan to buy a rental property or an income property need to provide many pages of financial documentation to lenders, including tax returns, W2s from employers, proof of income, proof of assets, and more. Giving up your privacy to provide extensive financial information to a bank or other lender that is considering giving you a mortgage loan for an investment property can be an uncomfortable proposition and one that you decide you are simply not OK with. This is especially true when it is clear that the investment property will bring in regular income but the lender is still demanding a lot of details regarding your existing sources of money. It can also be a major hassle to provide all the documentation that lenders typically require – and you may decide that you do not want to go through all of the paperwork requirements. The burdensome and onerous nature of providing loan documents to get approved for a loan can mean it takes weeks or even months to obtain a mortgage for an investment property. The property you had hoped to purchase could easily be snapped up during that time. 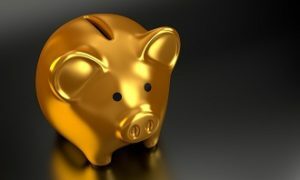 While finding a mortgage for an investment property may seem like an arduous process, especially if you have been turned down by conventional lenders, the reality is that building wealth through real estate investment has worked very well for some of the richest people in the United States so it is worth your effort. Owning rental real estate or income real estate is a smart way to protect your future by ensuring your assets are diversified, and being able to obtain a good mortgage with favorable terms may be the key to securing ownership. A&D Mortgage is here and ready to provide you with a loan that is right for you. Our mortgage professionals will work closely with you to determine what types of financing you can qualify for and to get you approved for a loan in as timely a matter as possible so you do not miss out on important investment real estate opportunities. Our process of allowing you to apply for financing is easy and straight forward. In fact, when applying for a mortgage to purchase a rental property, there is no income verification required for investment loans. We also allow a higher debt-to-income ratio for borrowers than many other lenders do and an adverse credit event on your credit history will not prevent you from being able to secure a mortgage loan to invest in real estate. The mortgage qualification process and the underwriting standards at A&D Mortgage are designed to help investors get the funds they need to move forward even in situations where traditional lenders would put obstacles in your path. We work routinely with investors, not just people buying primary homes or vacation homes, and our underwriting process is designed with the needs of investors in mind. We can also facilitate low doc loans and no doc loans, as well as work with foreign nationals looking to invest in the U.S. real estate market. We know that time is often of the essence when trying to close on a real estate deal, so our process of underwriting, loan approval, and getting to close is designed to move swiftly to give you a leg up when it comes to a successful investment. We’ll also be there to answer your questions along the way and we provide unparalleled customer service during the mortgage loan process and beyond. To find out more about how A&D Mortgage can help you to diversify your assets and begin building wealth by qualifying quickly for a mortgage to buy an investment property or an income producing rental property, you should give us a call today.